Robocop the Guardian. Protecting and serving the city of Detroit. HD Wallpaper and background images in the Robocop club tagged: photo. 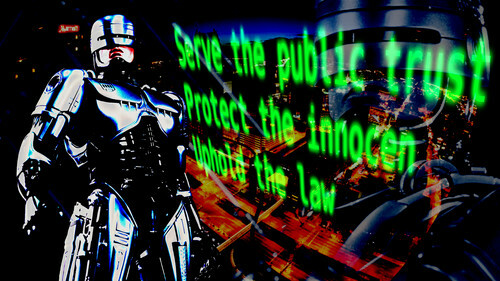 This Robocop wallpaper might contain jalan, tempat kejadian bandar, tetapan bandar, menetapkan, bandar tempat kejadian jalan perbandaran, and bandar.